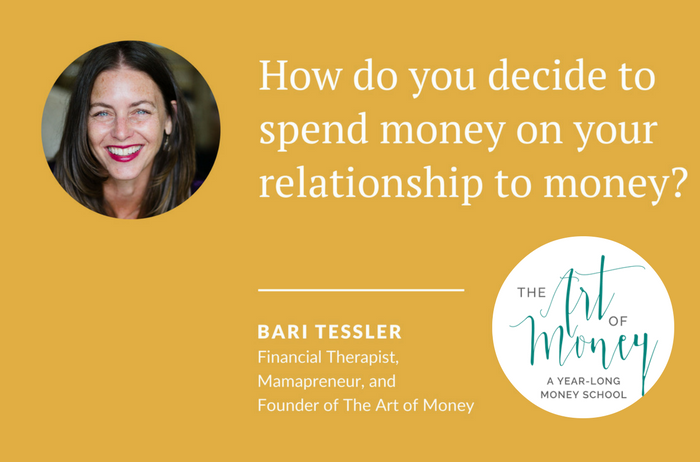 How do you decide to spend money on your relationship to money? How astute and thoughtful of you! I applaud you for weighing your money decision carefully. I want to help you make an empowered, confident, and honest decision – today and always – whether or not you decide to join us for the Art of Money 2017 journey. Simply reading that question might bring up some fear for you. You don’t really know how much you have, owe, or spend every month. And for lots of good reasons, you might be terrified to look at your numbers. The healings that occur for people who do the Art of Money work can be massive — but they’re often subtle at first. Sometimes our external world changes drastically and quickly. But other times the first chunks of work happen deep within, blazing a trail for external change. Money un-shaming, healing & forgiveness. What would it be worth to you to banish these things from your life, for good? If you’re considering joining us for The Art of Money, please make this a conscious, loving decision, for yourself. Go through this framework, and make this decision a conscious one. When politics hits us in the heart: you, me, and the Art of Money program.